Impact define Who We Are. Life’s all about moments of impact, and how they change our lives forever. My theory is that these moments of impact… that these flashes of reality that turn us upside down… change us. The truth is we’re sum of all the moments we’ve experienced with all the people we’ve ever known… and these moments become our history. That’s the thing about moments like these… No matter how hard you try to control, you just need to wait until the next collision. So that’s my theory. That these moments of impact define who we are. A car accident puts Paige in coma, and when she wakes up with severe memory loss, her husband Leo works to win her heart again. She saw pictures, videos, and even then could not remember it, a great example of reencarnations and find past Loves...the method and the way that he teach us was simply brilliant. The Impact! Re: Impact define Who We Are. Now that is an idea! Thank you kindly for giving something to think on. Grandmama? Oh that is funny! 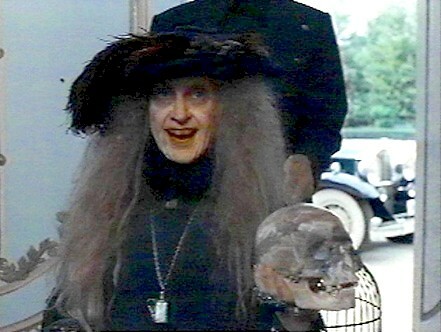 Grandmamma Addams with that skull someone left her in their will. I saw that film. It was good, although the true story was much more "real" and the protagonists weren't beautiful, rich and glamouous like the movie stars who played them. Still, I agree with you that it was a great analogy of the way true soulmates can find each other time after time.